This is old version Photo Editor Pro 2.31 apk for Android, you can install it if you want to downgrade or install old app. 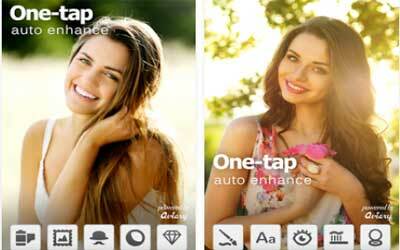 It is top Photography apps from Zentertain. Collages, slideshows, or in-app purchases won’t be a bother, so that you can get straight to business. Editing process is also fast, with a menu bar you can use to apply effects. Bonus point goes to you who use your device’s camera a lot. With a single one-tap enhancer, you can improve the lighting result and bring out the color, giving you a perfect image to brag on. However, downloading the frames and stickers within the application should be done before you can use them. This is understandable, considering the light size of this application, with only 7.1 Mega Bytes. Advertisements are always a bother, and there are some at the bottom of this application’s home screen. But these won’t be a bother compared to the constant appearance of the advertisements whenever you launch the app or finish editing your image. A professional photo editor can also feel that this application is too basic, with the lack of settings in this application. Regardless, Photo Editor Pro for Android has proven itself, with its satisfying features for your basic editing needs.